Stylishly discreet in-wall cisterns – out of sight, out of mind. Steel frame in-wall cistern for wall-hung toilets. 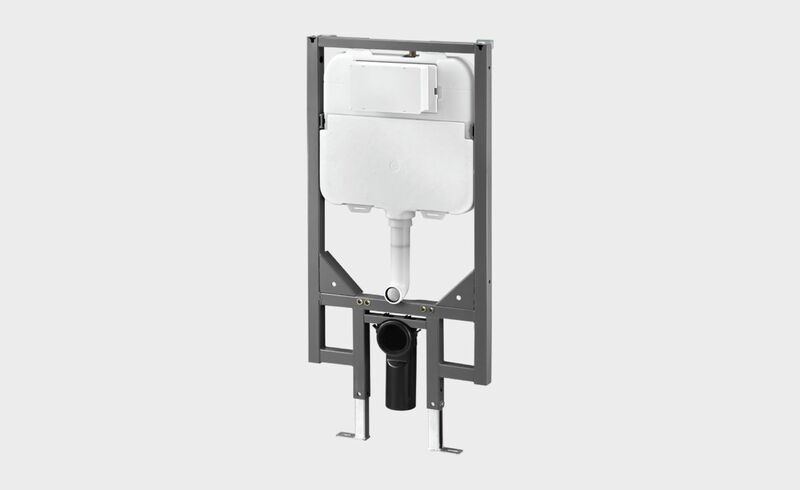 Comes with adjustable dual flush valve, fit into 90mm walls. The fully framed cistern has adjustable height and comes complete with 100mm water outlet. Pair with our round or rectangle flush plates, available in White, Chrome High Gloss, Chrome Matt, or Black (sold separately).